Recital is a dynamic programming language with an embedded high performance database engine particularly well suited for the development and deployment of high transaction throughput applications. The Recital database engine is not a standalone process with which the application program communicates. Instead, the Recital database is an integral part of any applications developed in Recital. Recital implements most of the SQL-99 standard for SQL, but also provides lower level navigational data access for performing high transaction throughput. It is the choice of the application developer whether to use SQL, navigational data access, or a combination of both depending upon the type of application being developed. The Recital database engine, although operating as an embedded database in the user process, multiple users and other background processes may access the same data concurrently. Read accesses are satisfied in parallel. Recital uses automatic record level locking when performing database updates. This provides for a high degree of database concurrency and superior application performance and differentiates the Recital database from other embeddable databases such as sqlite that locks the entire database file during writing. In this article Barry Mavin, CEO and Chief Software Architect for Recital debunks the myths and misrepresentations surrounding XBase and explains how Recital, an enterprise-class XBase platform, has overcome all the shortfalls and weaknesses of early XBase implementations. Can I access Recital data using PHP? The PHP ODBC functions can be used to access Recital data via the Recital Universal ODBC Driver. The following example connects to a Recital ODBC datasource, executes a query then outputs all the results from the resultset. For information on installing and configuring the Recital Universal ODBC Driver and creating and modifying datasources, please see the Documentation section of this web site. Note: Use of ? for the username and password on the local server is dependent on DB_LOCAL_LOGIN being enabled. How can I integrate external data in with Recital? Recital provides a wide variety of connectivity solutions to external data sources. This article provides an overview. All temporary files created by Recital are stored in the directory specified by the environment variable DB_TMPDIR. Then change the DB_TMPDIR variable in the recital.conf to point to the newly created temporary directory. This command is used to specify a directory where database tables, memos, indexes, and dictionary files are located. When a table is being opened this directory is searched first before the current directory and the file search path to locate the table and its associated files. This allows the database tables to be relocated to a different file system without the need to change an existing application. Many motherboards nowadays have integrated gigabit ethernet that use the Realtek NIC chipset. If it is installed remove it. Download the R8168B linux driver from here into /root. make sure modprobe knows not to use r8169, and that depmod doesn’t find the r8169 module. You can check whether the driver is loaded by using the following commands. If there is a device name, ethX, shown on the monitor, the linux driver is loaded. Then, you can use the following command to activate it. After this you should not see any more dropped packets reported. You can use any of the following languages for colorizing your code in articles. "Adobe® AIR® is a cross-operating system runtime that lets developers combine HTML, Ajax, Adobe Flash®, and Adobe Flex® technologies to deploy rich Internet applications (RIAs) on the desktop." The outcome of this combination of technologies is that developers can design and render quite beautiful user interfaces cross platform. For us desktop Linux users it is nice to have an additional avenue for obtaining and running attractive desktop applications. 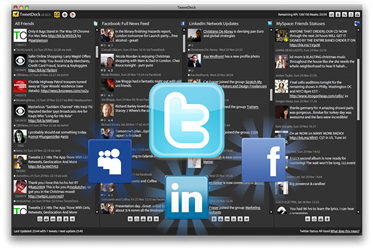 Examples of great Adobe air applications are Adobe.com for My Desktop, TweetDeck and the Times Reader. You can download these applications and many more at the Adobe Marketplace. The easiest way to install Adobe Air on Fedora 12 is to download the latest build from Adobe, click here. Once you have Air installed, there is a slight tweak you will have to do to get it running on Fedora 12, it is related to the security certificates. This can be remedied in one simple line at the shell prompt as root. What this line is doing is using the aucm which is the Adobe Unix certificate manager to set the certificates installed as trusted. You will now be able to go to the Adobe Marketplace and download and run Air applications without any issues.